Henri Bergson (1859-1941) was one of the most celebrated and influential philosophers of the twentieth century. He was awarded in 1928 the Nobel prize for literature for his philosophical work, and his controversial ideas about time, memory and life shaped generations of thinkers, writers and artists. ethics, religion, war and modern technology. With a final chapter on his legacy, Bergson is an outstanding guide to one of the great philosophers. Including chapter summaries, annotated further reading and a glossary, it is essential reading for those interested in metaphysics, time, free will, aesthetics, the philosophy of biology, continental philosophy, and the role of European intellectuals in WWI. 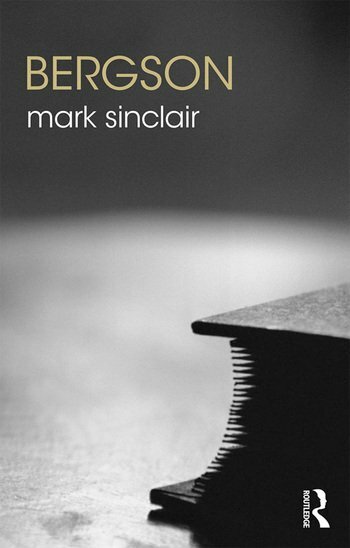 Mark Sinclair is Reader in Philosophy at the University of Roehampton, UK, and Associate Editor at the British Journal for the History of Philosophy. He is the author of Being Inclined: Félix Ravaisson’s Philosophy of Habit (2019) and co-editor of the Oxford Handbook of Modern French Philosophy.